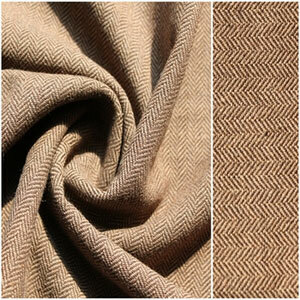 The herringbone fabric describes a distinctive V-shaped weaving pattern and it is usually found in twill fabric. Pattern likes Chinese word "ren", so our Chinese call it "ren zi" Fabric. The pattern is also called herringbone because it resembles the skeleton of a herring fish. 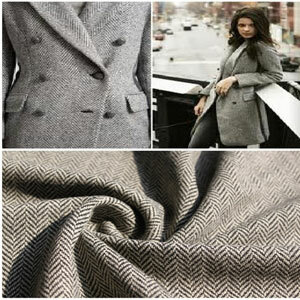 Herringbone fabric is usually woolen, and is one of the most popular cloths used for suits and outerwear. It is pilling resistance, wrinkle resistance and abrasion resistance. Besides, its friendly-environmental index meets the European standard. The fabric pattern is clear; the suede is tide with soft and smooth hand feeling. 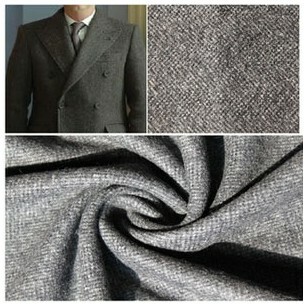 Moreover, herringbone wool is woven in twill that is reversed at regular spacing, creating a saw tooth line. 1. This fabric has soft and elastic hand feeling with feature of high heat reserving. 2. It is wrinkle resistance and looks fashion. 4. This fabric has high quality, service and quality control. 5. More colors and styles for you to choose. Applications: It is mainly used to make men or women suits, coats, trousers, and skirts, ect. in spring and fall. 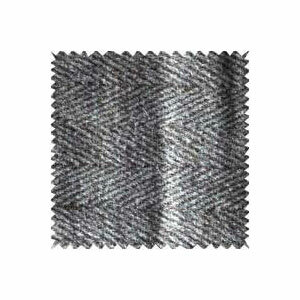 We are professional manufacturer and supplier of herringbone fabric in China. With 15years experience of production, selling, and service, we can design process and product products with meeting needs of customers as well as offer OEM service. Our factories produces 1million meters wool fabric, 10,000 tons chemical yarn, 40,000 tons tinplate, and 50,000 tons aluminum profile. Wherever in Europe, North America, South America in the Middle East or in Africa or south-east Asia have our customers. The product has won great favors from vast customers with its excellent quality. If you need herringbone fabric, please contact now.